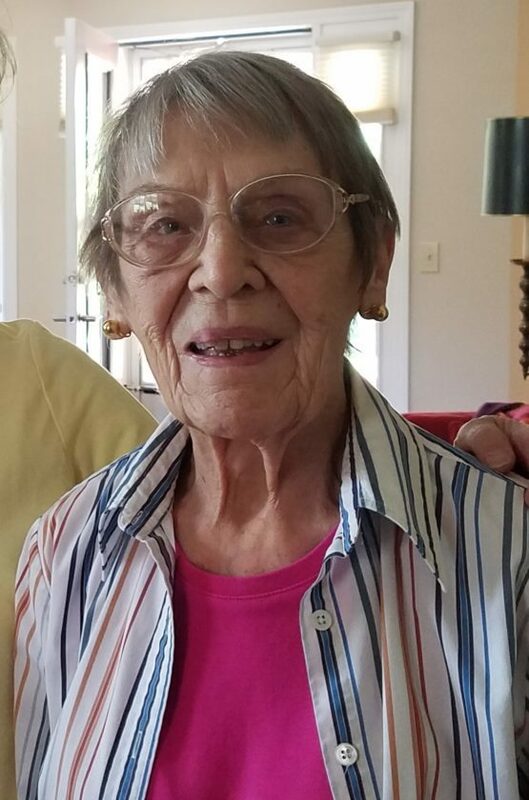 Shirley S. Shaw, 90, our dear, amazing mother, died Nov. 4, 2018, after a brief illness, surrounded by her girls. A prolific artist, Shirley trained at Butler University, receiving her Bachelors of Arts from SUNY Fredonia. Outstanding at figure drawing and painting, her artistic love was for theatrical scene painting, working for the Spokane Civic Theatre, Interplayers Professional Theatre and the Lucille Ball Little Theatre of Jamestown. Shirley was born Feb. 1, 1928, in Union City, Ind., the daughter of Garnet and Max Schoenfeld. She was proceeded in death by her husband of 62 years, Wilson W. Shaw; and her four sisters: Evelyn, Betty, Maxine and Paula. She is survived by five daughters: Susan Turnquist (Rick), Ashville, N.Y., Hannah Szymczak (Joel), Fredonia, N.Y., Carrie Fields (Kenyon), Spokane, Wash,m Rebecca Shaw, Helena, Mont., and Molly Shaw, Coeur d’Alene, Idaho; grandchildren: Brian, Matthew, Katherine, Nicole, Jacob, Emily and Anne. Inurnment will be at Sunset Hill Cemetery in Lakewood, N.Y.
Memorials may be made to an arts association of your choice. A memorial will be held at 2 p.m., Saturday, Nov. 10, in the main lounge of The Ridge, Spokane, Wash.